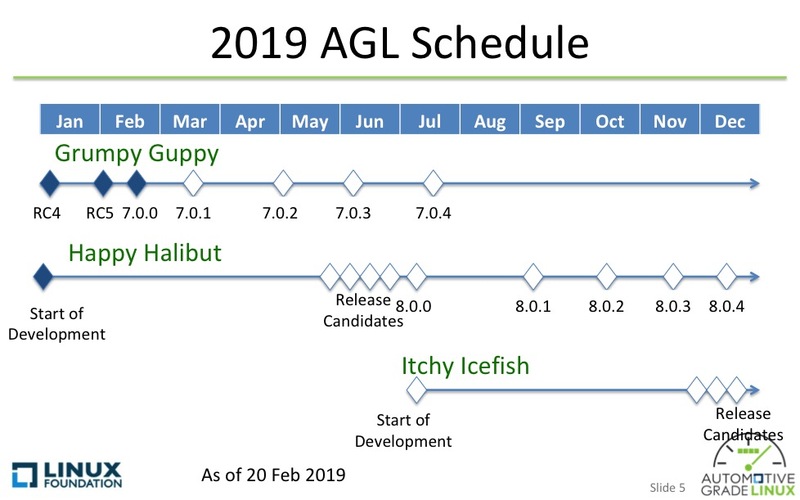 AGL follows a twice per year release cadence. 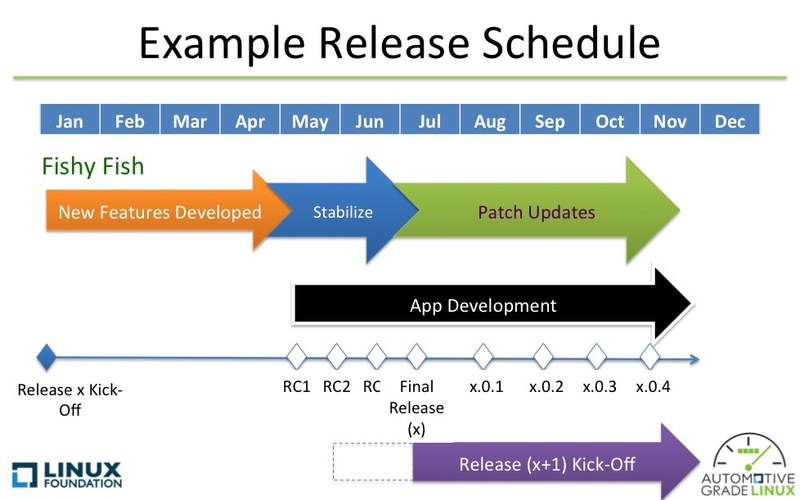 This is split in 3-4 month of feature development plus a freezing process in stages. 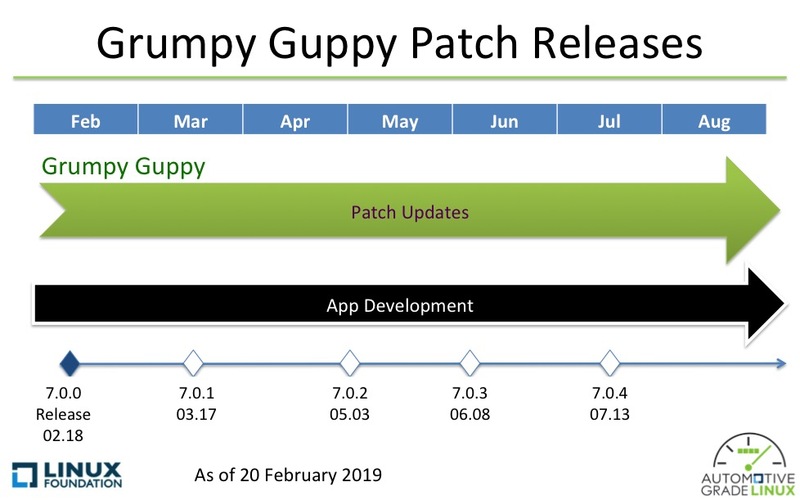 Once a new release is started the initial work will be to update meta-agl master to the planned Yocto branch for the release. Once this is complete for then new feature branches will be accepted on master. 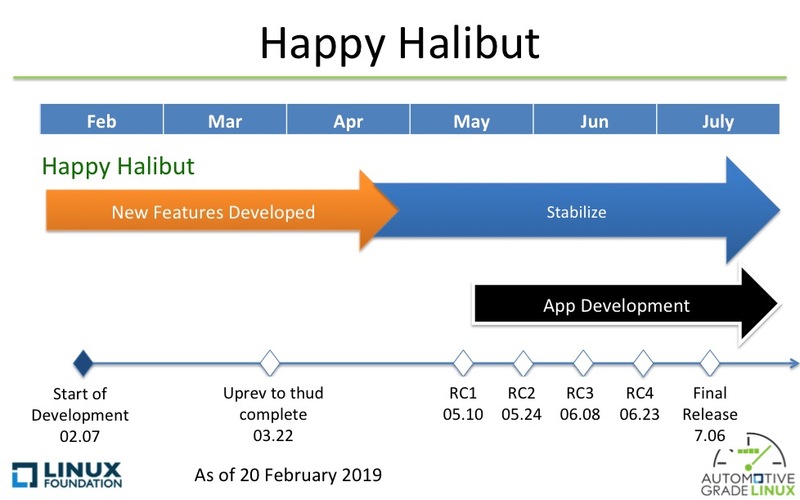 Each of these subphases will be announced on the automotive-discussions. 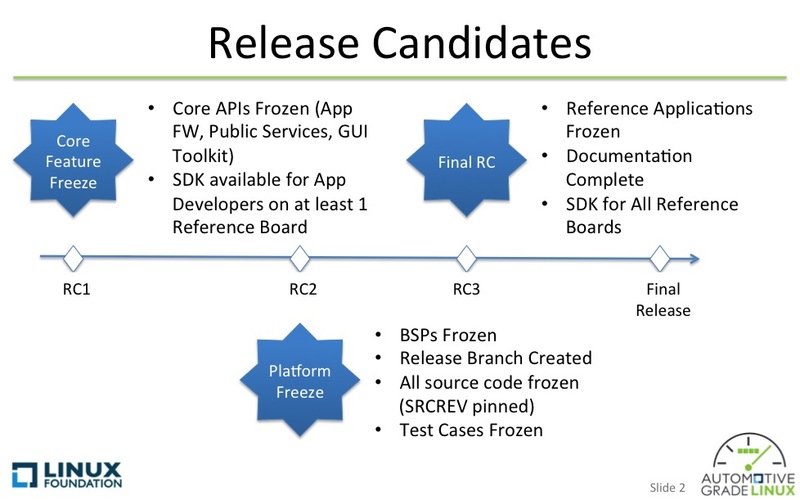 The first stage is the core feature freeze, followed by RC1. Next is then the 2nd stage which is the platform freeze which feeds into RC2. 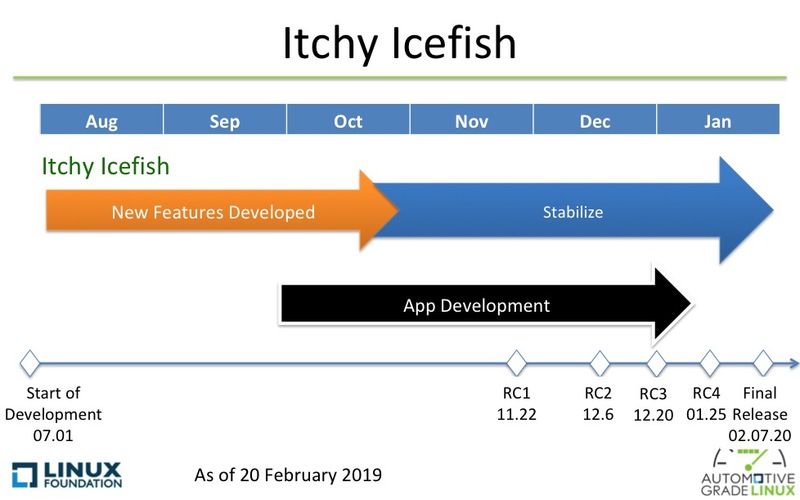 Finally there is a apps/docs/tests freeze right before RC3. 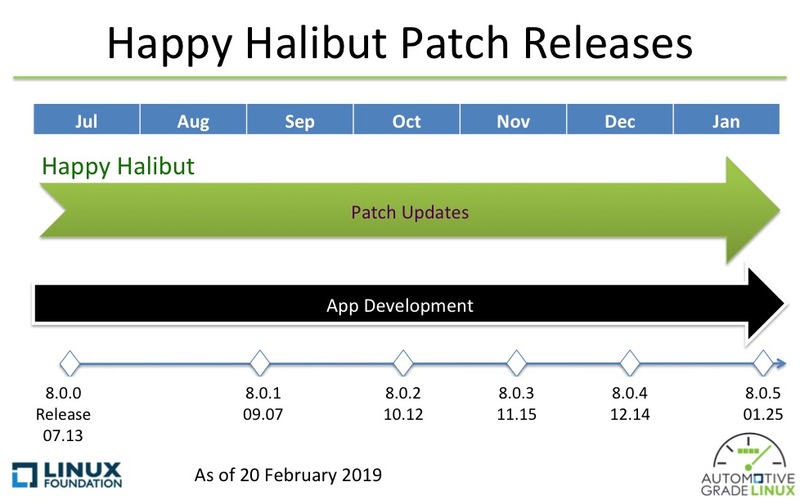 After final stabilization, the release will be cut.